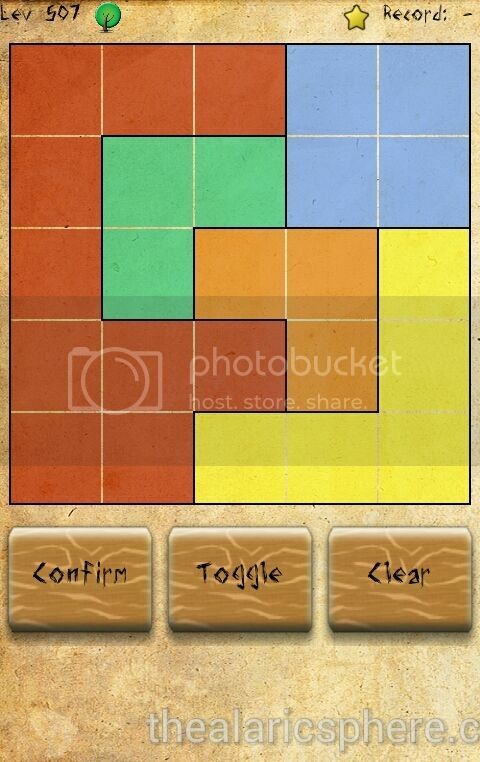 There is no shortage of puzzle games on the Android and iOS market. Just type whatever and a hundred pop out. There is a shortage though of “good” puzzle games. Seldom can you find an game that can sustain your attention for more than a few minutes. Well, fear not, Alberi is a gem that I found. And it’s free. 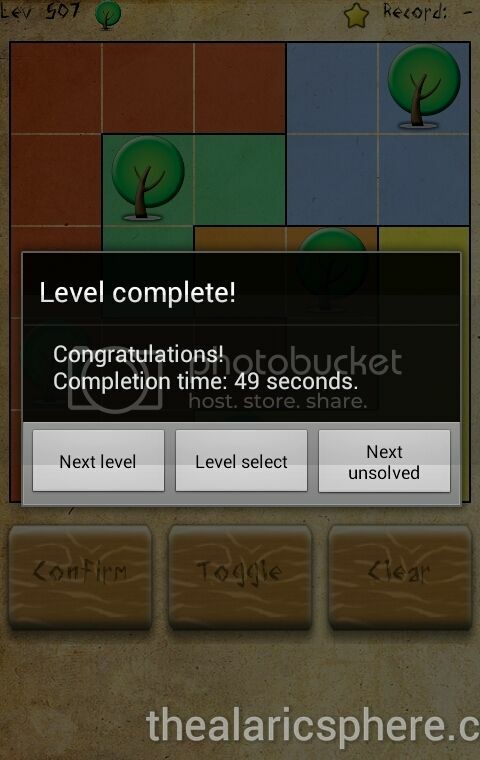 Alberi (Android/iOS) is from TwistedMirror and it is a combination of Minesweeper and Sudoku. So if you have any interest in those 2 games, then this is for you. I have no idea what Alberi means but it probably says something about puzzle. 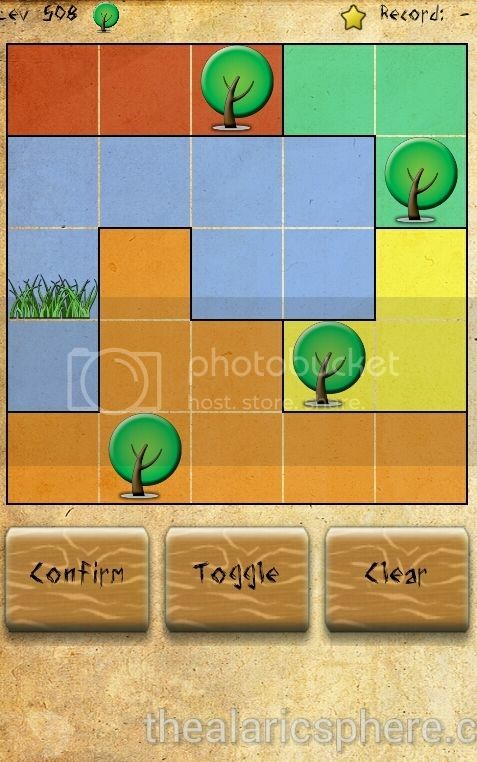 The objective of the game is to be able to plot a marker (in the form of a tree) on each color in the grid. The basic rules is that trees cannot be in the same row or column as another tree. Trees also cannot be adjacent both horizontally and diagonally from each other. That’s basically it in terms of premise. As with any puzzle game, the solution is obvious in the earlier levels since you can just do a quick trial and error. But as you go, the levels get bigger and you need to do some elimination already in the process. Then as you move on, you need to start doing a combination of trial and error and then also elimination. There is a provision to mark flags for those grids that you’re sure cannot contain a tree marker. Overall, Alberi is a fun game that you can quickly pick up and play. The game will track the levels you finish and the only reason you’ll go back is to beat your former time. But once you know the solution, there’s really no point in doing this. Alberi is free in the Google play store and iOS app store. There is a paid version for a little under $1 called Alberi Plus. That version, I believe, will remove all the ads as well as get the patches and updates earlier.